The conference grew out of a dream of Max Barnett, who has over 40 years of collegiate ministry experience. He recently retired after 37 years as Director at the Baptist Student Union at the University of Oklahoma, and has joined forces with Collegiate Ministers from across the world to host this bi-annual conference. LIFE IMPACT is named appropriately because this conference will impact your life in ways you can't imagine! Through large group sessions you will experience the encouragement of worshipping with believers of like-heart from across the nation, as well as hear challenging messages of how God is moving in the nations and how you can be a part of that. The workshops will allow you to learn from experienced collegiate ministers on topics targeted at equipping you to walk with God, share your faith, an minister to those around you. Small groups will introduce you to other students from different schools where you can build lasting friendships. We are confident the LIFE IMPACT will be one of the best conferences you ever attend! If you are a college student who wants to be challenged to live for Christ and share Him with your co-workers, family, classmates, and friends, LIFE IMPACT is for you! Join hundreds of other college students from across the United States including, but not limited to schools in Oklahoma, Nebraska, Colorado, Texas, Arizona, California, Michigan, Iowa, Pennsylvania, Kansas, and many more! 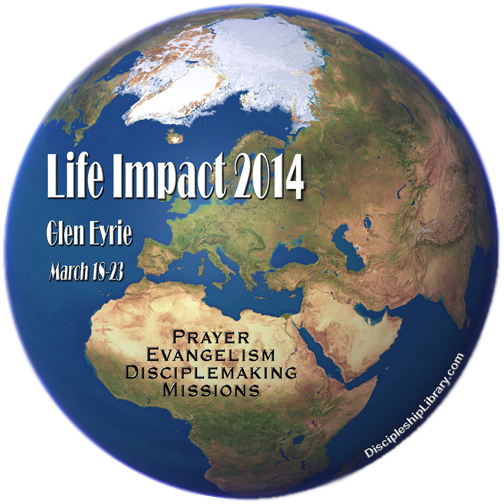 Join us at Life Impact 2015 !